The Ki-44 'Tojo' epitomises JAAF air power in defence of the homeland, but was also used extensively in the skies over China. 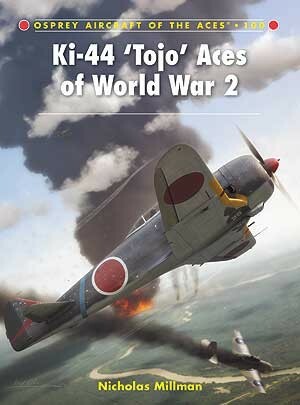 The introduction of the Ki-44 was noted with concern because of its departure from the performance and tactics previously associated with the JAAF. It was a fast-climbing, heavily armed point-defence interceptor that was used successfully in slashing hit-and-run tactics that caught Allied pilots by surprise. Amongst the numerous aces that flew Ki-44's were Major Akira Watanabe of the 33rd Sentai, Captain Yukiyoshi Wakamatsu, the 'Red Nose Ace' of the 85th Sentai and Warrant Officer Rikio Shibata also of the 85th Sentai, a leading ace with claims for 27 aircraft. 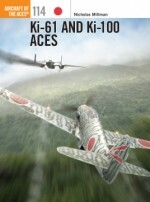 This book tells the complete story of all of Japan's 'Tojo' aces. Nicholas Millman is one of Britain's leading researchers of Japanese military aviation. In addition to publishing articles in specialist journals and supporting the research of other authors, he runs his own website dedicated to the subject which attracts visitors from 111 countries. 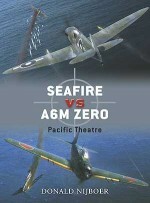 He is a member of Pacific Air War History Associates, an international group of authors and researchers working in this field. Having spent much of his working life in the Far East he has an abiding interest in the history of military aviation in this part of the world, and first hand knowledge of the geography, languages and people.